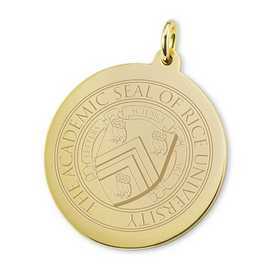 Rice University 18K Gold Pendant & Chain by M.LaHart & Co. Gift your dedicated fan a spectacular NCAA and college-themed surprise. 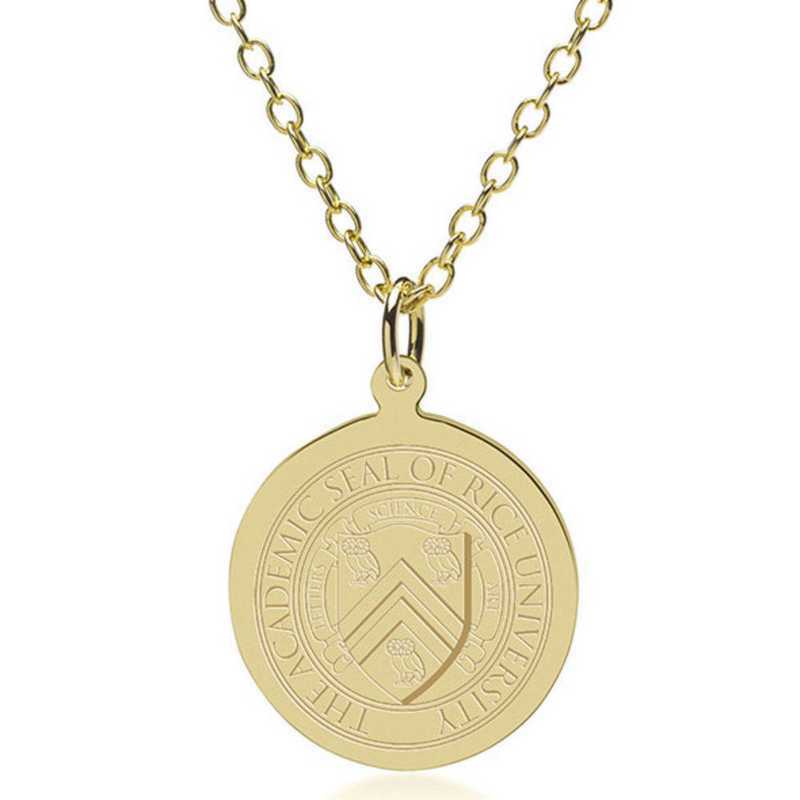 This solid 18-karat gold pendant and chain is an instant heirloom, featuring the Rice logo beautifully engraved on the front with room for personalization on the back. Pendant measures 19 mm diameter. Substantial 2mm gauge chain in 18K gold measures 18 in. Convenient lobster claw clasp. Attractive M.LaHart signature jewelry pouch and gift box. Officially licensed by Rice University. The 18K necklace is a perfect gift for your favorite alumna or new college graduate. Manufactured direct from a trusted supplier. 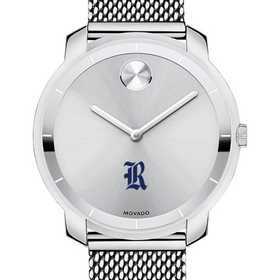 Rice University 14K Gold Charm by M.LaHart & Co.
Rice University 14K Gold Pendant & Chain by M.LaHart & Co.
Rice University 18K Gold Charm by M.LaHart & Co.
Rice University Women's Movado Stainless Bold 36 Watch by M.LaHart & Co.
You're reviewing:Rice University 18K Gold Pendant & Chain by M.LaHart & Co.